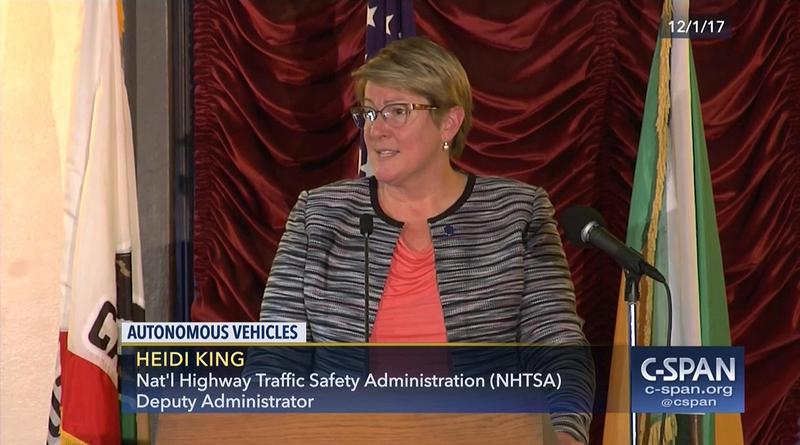 Concern that Democrats would vote as a block against the nomination of Heidi King to be administrator of the National Highway Traffic Safety Administration led to a delay in the scheduled vote, Sen. John Thune (R-S.D) told reporters May 21. The Senate Commerce, Science and Transportation Committee planned to vote on King’s nomination during a hearing May 22, but not all of the Republican members would be able to attend, said Thune, the panel’s chairman. “We assume the Dems are probably going to block the vote against her,” he said. Sen. Bill Nelson (D-Fla.), the committee’s ranking member, and other Democrats on the panel want more time to vet King, several Senators told Bloomberg Government. Nelson was not satisfied with King’s answers about holding vehicle manufacturers to account for safety issues such as the Takata air bag recall. “For a regulatory agency, you need better than that,” he told Bloomberg Government. The Center for Auto Safety, an advocacy group, opposes King’s nomination. The group said King, who is deputy administrator of NHTSA, “dodged straightforward safety questions” and “appeared unaware or disinterested in the status of overdue rulemakings and recall investigations,” Bloomberg’s Ryan Beene reports. The panel still plans to vote on Joseph Gruters to be a director of the Amtrak board of directors and Jennifer Homendy to be a member of the National Transportation Safety Board.